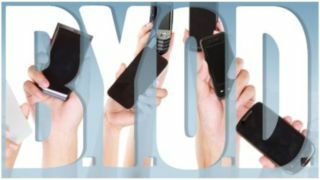 Could BYOD reach out a hand? Consumer security vendors could be thrown a lifeline in the form of 'bring your own device' (BYOD) initiatives in which employees use their own devices at work, a report by analyst house Gartner has suggested. According to Gartner, consumers' reluctance to pay for anti-virus products on mobile devices, along with a prolongued dip in global PC sales, is painting in a bleak outlook for security vendors. It says that though IT-savvy consumers may have five or more devices at home that connect to the internet, consumers in general are far more likely to have an anti-virus program installed on their laptops and desktops than mobile devices, which are often left unprotected. By 2015, however, the increased popularity of mobile will lead almost a third of consumers to choose anti-virus solutions based on how well they protect multiple mobile devices, Gartner claims. As such, it recommends consumer security vendors to begin to offer products for all mobile device platforms in addition to traditional desktop and laptops. Gartner says this can create new market opportunities, with security likely to become a higher priority. Ruggero Contu, Research Director at Gartner, said: "The current awareness of security and its impact on users of mobile devices is likely to change. Gartner expects attacks to focus increasingly on mobile platforms as they become more popular. "This is likely to make consumers show more interest in security products that address mobile devices and acquire mobile security as part of a broader consumer endpoint security platform."